It takes an amount of technology and engineering to pull together all the power-buttoned gadgets that we know and love. When most companies in the US throw over the fence to a factory in Asia the ideas they come up with for development, it’s great to have Orlin Wetzker’s company develop and engineer all these things in the US. One of the main projects that Orlin talks about is the moisture sensor which brings high technology to farming. 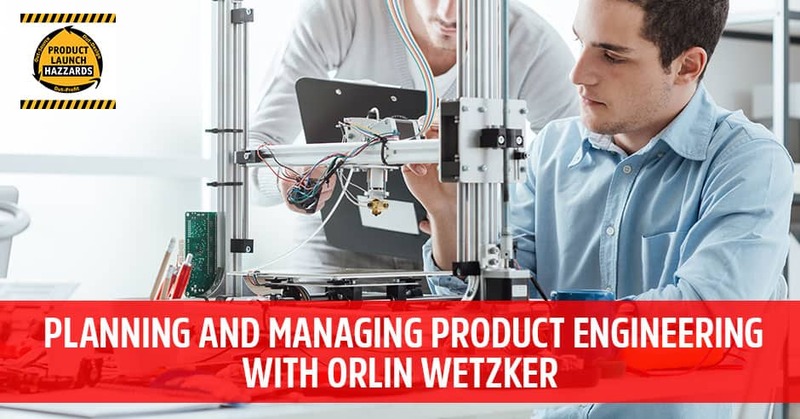 Given the different technology life cycle of the kind of developing and product engineering that he’s doing, Orlin is no exemption when it comes to challenges. He shares some techniques on how to minimize these challenges as he takes us to his journey of pursuing his craft. I am bringing you Tom Hazzard. Tom is joining me for an interview with Orlin Wetzker. Orlin is from Transcend Innovations out of Salt Lake City, Utah and I got to meet him at an event. He has an interesting business because it’s completely focused on tech engineering, advanced engineering and all of those things where you start to integrate circuit boards and all of the things Tom and I don’t do, so it’s fascinating to us. It gets involved early on in the product development process and starts to assess the product development system and making sure that companies like Intel, Boeing, Roche, P&G and Lilly have the right mix of technology and development services so that they’re pulling this together. He focuses on implementing product management systems to improve time to market and increase product completion predictability so that his clients pay out. We all know about scope creep and we all know about time creep when we’re trying to work with consultants and he’s dialed it in. 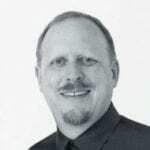 He has 25 years of experience improving business processes and developing new products and he understands the keys to successful product launches. I’m so excited to bring you, Orlin. Orlin, thanks so much for joining us. Thank you for inviting me on. We don’t often get to talk to someone with this deep experience as you have in more of the engineering side of things, but more of also the tech product side of things. I’m excited to have you here for our audience. It’s a great space to be in the technology space. It’s growing so rapidly. I enjoy the challenges that are associated with that. We’re so used to having companies in the US develop tech by coming up with ideas, throwing them over the fence to a factory in Asia, and having them develop it for them. I’m so happy to talk with you, a company here in the US, that develops these things because that’s been happening less and less. We get a fair amount of people who come to us who have already done that route of trying to go overseas having a lot of trouble, especially with the communication and the time barriers that come up with that. It helps them to have somebody who they feel like they can more intimately talk about what they wanted and how they want to get that. I’m not going to call it innovation understanding because that’s not exactly what I mean. It’s more of a language that you use if you’re not in the industry, if you’re not an engineer, if you’re not a designer and you don’t know the language to use. It’s hard to get the factory to accomplish what you want to accomplish when you’re talking about it in layman’s terms. That’s part of it. The language barrier certainly is a problem in people finding a place like me to go to. Sometimes it’s a problem for me to describe what it is that we do. The gadgets that we know and love, our cell phones, our Bluetooth speakers, anything that has a power button, the amount of technology and engineering that’s associated with pulling together is beyond most of the population. They don’t even know what to ask for when they have ideas about what they can do. There’s a lot of this. What Tom and I have found is when you don’t do something again and again and it’s not in your wheelhouse to be doing, which is one of the reasons we don’t do. We personally don’t do a lot of tech products. We do tech adjacent products. There are power buttons involved. The technology part is usually known. It’s the rest of it that we’re designing. There are so many things that can go wrong and things that you will have learned from projects over time. One of the things that I get a lot is, “Can you do this?” No matter how crazy it is, I say, “Yes, we can do that,” because there’s so much technology that’s available. What we can do is almost limitless at this point. It is bounded by imagination. That’s also a hard thing for people to grasp. It’s how they ask what we can accomplish. The question becomes, “Should you do it?” I’ve had long conversations about that. That comes into play. I don’t know how much that’s an issue as we go through. Let’s talk about some projects, some examples that you’ve worked on because I’m curious. One of the main projects that we’re getting out and it’s getting into production is a moisture sensor. It’s a simple sensor that is used to go into the ground. It will tell you how much moisture you have. It will relay that information to a base station. It sends that up to the internet, to the Cloud. That’s being used by small farmers so that they can make sure that their crops are going to get the highest production yield that they can get. Farming is getting very high-tech. It makes so much sense because it affects the quality of the produce that comes out. It also affects how much water they use. They can reduce the amount of water that they’re using and still get the optimal crops that they need. That was why the people who came to us, they wanted to get into this business is to help conserve water and also to maximize food production. We need this invention in Los Angeles. Every time it rains and all the sprinklers are going off in the public areas, it’s like the headless water sensor would tell the system, “It’s raining, don’t water me now.” That would be so helpful in public watering too. My personal favorite is when they start to flash on the electronic billboards, “Turn your sprinklers off.” I’m like, “People aren’t going to go out in the rain.” It finally rained in California, but people aren’t going to go out and turn their sensors, turn the sprinklers off. It doesn’t happen. We definitely need technology to kick in and do it for us. I can’t divulge anything more than that something is coming. Let’s talk about the challenges of these projects that you’re getting. Someone comes in with an idea, but it’s challenging to plan and quote these projects. That’s probably the biggest barrier sometimes in innovators getting their ideas to market and you personally being able to manage the expectations of what this needs. The technology life cycle is a little bit different than more of a mechanical or industrial design product. On the mechanical process, you can get a prototype relatively quickly out. You work a lot to get it into production. It’s almost the opposite for us. We have to spend a lot of time getting through the prototyping process. Once we’re done, we’ve almost completed what’s needed to get into production. The life cycles are a little bit swapped in terms of that. There still is production work. We don’t have too long cycles or anything like that. The other thing is it’s less about what it looks like and more about how it functions that we have to focus on. We end up doing a lot of programming as well as opposed to working with the actual electrical components. We’ll have a bill of materials that will have hundreds of items on that. It’s a whole bunch of little resistors and everything else that has to go through. Product Engineering: Language is important when you are developing and engineering something. Your diagram and all of those things, that is great. For hard goods, like what we do, 3D printing has helped change that because now we can send it and say, “This is what it needs to look like.” They’re still tooling but at least there’s not just a functional prototype but an aesthetic one as well. A lot of things end up in a plastic box. That’s what it ends up being. Sometimes if it’s more of a consumer type product, you have to put a little more effort into what that plastic pot is going to look like. In the end, it’s still a plastic box. You have the challenges of thinking through the process of how things are working, how they’re functioning, all of the things that can go wrong that will affect it. That’s a lot of unknowns in the process. We have to map out the interfaces. We spent a lot of time up front dealing with requirements. We will figure out what’s the environment it needs to work in, who’s going to interface with it, and that who may be a person or it may be in another machine. When we’re talking with the Cloud, we’re negotiating with the cellular carrier and making sure that we can connect, all of those little things. They all have to work seamlessly. They have to do it time and time again. We spend a lot of time getting those things right. I imagine you also spent a lot of time with people like, “How much is this going to cost?” They want something to be simple and flowery. How long is it going to take? It’s probably the next question after that. How much is it going to cost is usually the biggest issue that people go through. Technology development isn’t cheap. We have electrical engineers that know their stuff. They have to get paid. I need a full team to make that happen. The price has to fall in line with that. Fortunately, the returns on your product typically end up compensating fairly well for that. One of the big things is a step up in volume. It usually can warrant the cost that it takes to do the design. What does that mean, a step up in volume? Let’s say you have a product and your manufacturing cost is $100. You’re going from a volume of maybe 200 to start with to 2,000 or 3,000. You look at the added cost to reduce the price of the product. Let’s say with a redesign, we can get a $10 reduction in the overall bill of materials cost. That would more than pay for the engineering that you’re going to put into it. You have to play those games as well, understanding volumes, understanding what the product costs look like. Usually, more engineering can result in the lower product cost. That’s normally where people end up with going through that. Value add, engineering is what we used to call it. We normally go through a strategy of stepping people into a product. What I mean by that is we can start off with off the shelf components and piece it all together. It would be maybe bigger than you’d like it to be in your final form factor but it ends up providing all the functionality that you need. As you can demonstrate that, you can sell the product. It has legs. When it starts, you start jumping into a new product quantity or you’re selling at a higher volume. You can go in and do the engineering to customize it, reduced the size, and reduce the overbuilding materials cost. You have to take those kinds of strategies with technology, especially if you’re going into a market that you’re not quite sure if the product is going to make it or not. That’s a risky proposition I bet for a lot of companies though. They have to do all this development in order to make the product they want. If they’re not sure it’s going to be successful, that’s a big bet. It’s always the bet with new product development when you’re going into it. We always advise that you go through some good market analysis before you get to the stage where you’re spending money on the product. There are some products where you need to put the development dollars to get the technology to where it’s at so the people will know if that’s something that they want. It’s always the tradeoff, always the risk that you’re going through with these types of products. What do you wish that some of the people come to you and knew beforehand? Usually what I want them to know before they talk to me is that they have at least an inkling of a market that they’re going into, that somebody wants what it is that they think they want to deliver. It’s like the people who have a business plan and say, “There’s a $5 billion market for this. I’m coming into it. If I can get 1%, then I’m golden.” They think based on that logic and no actual proof, they’ve got a winning process or company and it is not the case. “It’s fundable,” that’s the one that we hear all the time too. That’s such a good point. That’s a little bit of why we stayed away from doing these types of technology products. It’s riskier in terms of how much effort and time you have to put into it before you can find that answer sometimes in particular markets or it’s more challenging to try to get the answers from the right place. You have to rely on researched reports and surveys and things like that. I’m a bigger fan of selling them something and get them to convert it into dollars. I am a big fan of finding something that may exist. If you’re going to replace, in your case you were mentioning a water conservation product, if there’s any kind of automated sprinklers or something like that where they have some kind of sensor to work, it’s someone who’s putting in a sprinkler because they don’t want water to be going constantly. They don’t want to go out and turn it on and off. Doing all of that. Even if it’s not as good as what you imagined, selling that and having the clients from that or the customers from that gets you to access the right people to start to talk to you. That’s what I’m a fan of. We try to get them into a product that exists first. If you had to go full tooling, full engineering, full all of that, sell something to the right type of people and make sure that you can have a conversation with them. I also advise the same thing. Let’s understand that there’s a market before we get into that because if you’re coming to me, you need to be ready to pay the bills that are coming. That’s the reality of where we’re at. Product Engineering: There are times when products don’t align, so you have to make decisions and trade offs. Sometimes I get into that. Sometimes they’ll talk about product roadmaps as we start working with customers so that we can understand how we’re going to develop it. Almost invariably when we start working with the product, what they’ll want the product to be, what they’ll want to pay and what it takes in terms of time to get that there, they don’t align. We have to make decisions and tradeoffs as we go through that. They’ll often be like, “We’re going to start with this version. We’ll add these in the next revision that we go through.” Almost always once you get into technology product, you’re talking about roadmaps, when and how you deploy features and how you manage your overall development budget as you go through it. Product improvement, value add and all of those great things. It’s all a part of it. It ends up being a long road. It is some ways we’re mixing what you’d expect from a software development cycle with traditional hardware development. They both come together. They both play a part of the overall design process. One of the things my team is good at, and you may not consider this much of the skill but they know how to search for parts and how to find weird stuff. There are millions and millions of electrical components out there. They change every day. There’s always something new. These guys, they spend a lot of time knowing how to search, knowing where to search, knowing and keeping abreast of new technology. It’s a constant part of what we do. If you’re a novice and you don’t have any experience with that, this could be a very tough thing to work through. Knowing how to put the pieces together is a very important skill. You’re pointing out something. I read Steve Wozniak’s biography because I was writing an article about him and I had done an interview with him. It’s called iWoz. In it, he was mentioning how he was well-connected to the community of who is developing new circuit boards and all sorts of new things that were going on. That’s how he got involved with creating at that time it was CD-ROM drives and things like that. That was revolutionary in the early Macs. He couldn’t have done that if he wasn’t so deeply connected and didn’t understand that this was a leap of innovation from what had been done before. There was no internet then so he was doing it the old-fashioned way, going through catalogs and talking to sales reps. It’s a skill set. You have a great team who’s got a good skill. It’s an odd personality type that gets involved with this. We use Slack for communication here. We have what we call Random Channel. It’s interesting to see what they post on our Random Channel of Slack. It’s all sorts of weird stuff. They posted the one with the test that somebody conducted, the fake study of whether or not parachutes are effective and the randomized study for that. They got a kick out of that. It’s interesting and a whole bunch of bizarre stuff. We get posting all hours of the day of these guys as they’re going through that. It’s their own creative outlet there. I love it. We like to talk about the things that do go wrong here because we’re all about Product Launch Hazzards. You learn a lot from the mistakes that go on and happen. I’m sure you’ve had clients who made a lot of mistakes and then came to you to pick up the pieces and/or mistakes that you made early on. I would love for you to highlight some of those because we learn a lot from that. I’ve had a couple of people come to me who have products that they had designed by other people. They’ll bring the hardware into us and will be like, “We need the design files in order to do anything. Otherwise, we’re starting from scratch.” It would be like somebody bringing a drone to you and saying, “Will you fix my design?” You’re like, “I’m going to have to do all the CAD because there are no CAD drawings.” We’ve had a couple of people who’ve done that. The client should own a copy of their design files once they’ve had something designed. They shouldn’t leave it up to somebody. They couldn’t get the files because the person who is their engineer got Parkinson’s disease. They couldn’t get anything from that person. We had to start from scratch literally on that design. I’ve seen that happen quite a bit. The other thing is underestimating how many details need to be worked through. For technology products, you have to consider product certification as a part of the process that you go through. That often gets overlooked what that goes through. It applies to so many different product categories and different regulatory testing that you have to do for electronics. In the US, we have to go through an FCC certification here, the Federal Communication Commission. That’s for all electronics because all electronics emit radio waves of some type, whether or not they intend to or not. You have to be clear that you aren’t doing that. Do you have to go through UL listing if the part that you buy, let’s say you buy the power cord? It’s UL listed. Do you have to go through that separately with all the things combined together or does each one count individually? I want to point out that FCC and UL are different certifications. Thank you for saying that, clarifying that. UL is about safety. 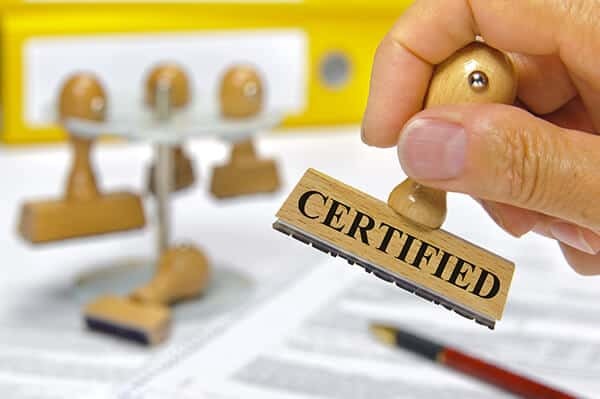 Whether or not you need UL Certification depends on who you’re selling to and how you intend to sell it. You have to understand that. You have to understand who is buying and what they want. There are different types of safety certification that you can go through. There’s four in the US. You have a different safety certification for every country throughout the world. There are different regulations that you have to follow. The way I look at it is the easiest safety certification to go through is a low voltage certification where essentially the voltage of the device is under 40 volts is what they look at. If it’s below and even lower threshold, they don’t even say that you need safety certification. If you’re plugging into a wall and that AC is going directly into your unit, then typically you will need to get safety certifications of what you’re doing. The time it takes to get the certifications and things go wrong and you have to then make some adjustments and resubmit. We’ve seen that happen again and again with many of our clients. That’s something that is probably the biggest error that is made in the planning cycle for these. Most companies are like, “The development will be done on this date. We can go to the market by this date.” They’re not considering the time it takes to get through all of that and maybe some redesign that has to happen. The other certification that comes into play is if you’re using cellular in your product, you have a cellular modem built into your product. You have to go through a carrier certification. 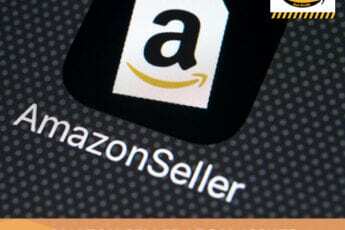 Not only do you have to get the product through FCC, but you have to then go to your AT&T or Verizon or T-Mobile or whatever carrier you expect or want to use. You have to get them to certify that you can use that product on their network. On the technology side, that’s becoming a much more attractive proposition than it has been in the past. We’re seeing that the cost of modules is plummeting. It’s making it to where you can afford to put a cellular modem in your product and have it connect directly through the carrier to the internet and get rid of gateway devices entirely. You’re always looking for faster shortcuts to making things run smoother, more directly, fewer places to pass through. Product Engineering: For technology products, you have to consider product certification as a part of the process that you go through. We’re always challenged in this market with product cost. The new devices, the new components that come out, they’re almost always geared towards dropping the overall cost of the product. That’s why you have to stay current with your product. That’s why product design is always a factor because you can start shaving big dollars off this. Just so you can understand the magnitude of this, we’re seeing retail prices on these cellular modules dropped from under $100 to sub $30. We’re seeing trends which are getting them into sub $15 page. It’s always such a race to the bottom with technology part costs. At some point it seems because so many other manufacturers can make it that it becomes a commodity. It’s volumes. When you give something to Silicon, when it’s a chip that they’re making, all of the expenses in the development of that first chip, everything else from there, the actual cost to create a little chip is fractions of a penny. It’s so low for them to make them. They’re amortizing their development costs over a larger spread. Almost always they make their money off the first batch and then everything else, it’s what the market will bear in terms of the cost for that. Orlin, you’re out of Salt Lake City. How is that region? Is there getting a lot more technology, a lot more things going on than when you first started there? We know that there’s a big tech boom that’s happening in the Salt Lake area. Further south from us is what they officially call the Silicon Slopes. You’re seeing a lot of the software startups that are out there. There’s not quite as much in the hardware space. Everywhere there’s software and everywhere where you have an instance for some reason, developing SaaS, a Software as a Service application, they end up at some point needing a physical device. We see that a little bit but even more than that, it’s a very entrepreneur-friendly environment. There’s a lot of both state and local organizations which are helping the entrepreneurial community. We’re seeing the effects of that. It is still a very positive environment for growth and for technology. I’ve enjoyed my visits there and getting to meet you and your lovely wife. You’re right. The community is getting a lot more entrepreneurial support, which is making a big difference. The one thing which we see a little bit off but could probably be better is investor support. There are a lot of investor networks, but we can’t hold a candle to the amount of money that’s in the Bay Area or other places. We still need a little more support in that area. By and large, it’s a good place for a business like mine to sit around and take advantage of the market. Orlin, I appreciate you coming on. Is there anything else you want to share with our audience or with us? One of the trends that I did talk about is the advent of these cheaper cellular modules. That’s a pretty dramatic change in the market. We’ve got the number of projects which are using that. We’ve come up with our own cellular module card which we can put into projects to help in that area. We’re strongly pushing that. The other thing that we’re pushing for in terms of our overall market approach is to focus on natural resource management. We’ve had a lot of demand in that area and things like water conservation and energy production. We’re looking for projects that are in those areas to advance that. We see it’s certainly a need. It’s something that we have a lot of interests and experience. If I can highlight anything about what you’ve been sharing and our conversations that we had before is that when you get someone who has deep experience in a particular area or has a lot of learnings from multiple projects that they’ve done such as in the natural resource world, that translates into making your project and your product go faster because they’re leveraging that on your behalf. It’s not something new every single time. It’s great for you to share that with us so that our audience knows. If they’re working on those kinds of projects, there can be an economy of scale with going with you because you’re working on multiple projects in that world. We’re very focused on driving the overall value proposition for our customers. I take a strong partnering approach with everybody I talk to. I’m always straight with them from the start. I’m not interested in selling them something they don’t need. It’s one of those things that I feel makes the whole experience better when you can go into something knowing that everybody is on the same page as far as the overall success of the product that has been built. Your whole team is so excited that it came to market. Everybody involved is excited about that. That does make for a much better project. Orlin, thank you so much for coming and joining us. Thank you so much for having me. This has been a wonderful experience. Thanks. It’s a pleasure to finally get to meet you myself. You and Tracy have had some past experiences meeting each other and having some great talks. It’s great to participate a little bit and we’re looking forward to that more in the future. Orlin is a visionary who sees a future in unlocking human potential. 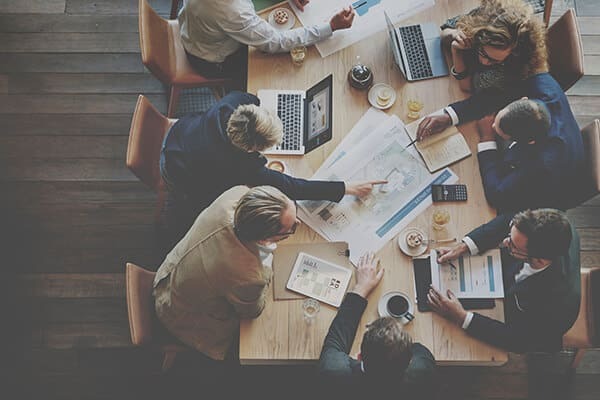 With a quarter century of experience improving business processes and developing new products, he understands the keys to successful product launches. Orlin has done consulting for many of the nations top corporations including: Intel, Boeing, Roche, P&G and Lilly. His consulting has focused on implementing project management systems to both improve time to market and increase project completion predictability. 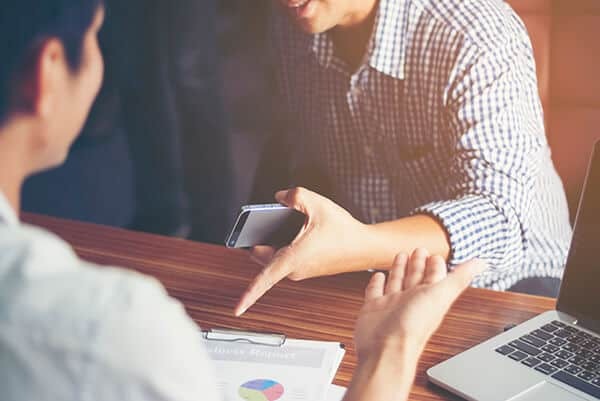 Assessing the product development system in these excellent companies, Orlin has deep insight into how products are developed and what motivates people to perform within these systems.